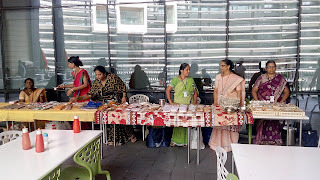 Pune, 13-October-2017: The Don Bosco Development Society (DBDS), Pune participated in the Diwali exhibition sale organized by AXA Business Services on 13th October 2017. A good number of slum women trained in Business Entrepreneurship (as part of the DBDS project) participated in the event. This was a great opportunity for these Self-Help Group (SHG) women to display their products and sell them to earn income. 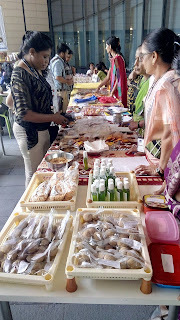 Most of the products on display were related to Diwali like sweets, snacks, spices etc and liquid soap. 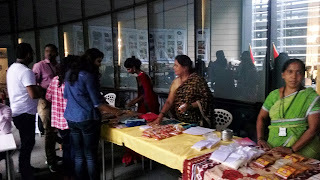 Sizable amount of sale was reported by SHGs in the event which was open from 10.00 am to 7.30 pm. “Through SHG, I save and get small credit for doing business. Today I sold sweets that I had learnt to make in one of the income generation training by Don Bosco and AXA Company. 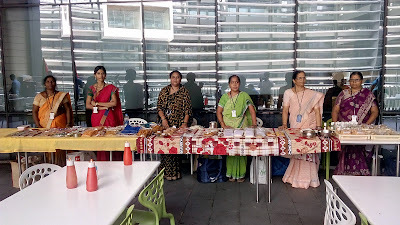 Thanks to them for their support and encouragement” said Sunita Kale – a project beneficiary who participated in the event.